Get ready for the smartphone slapdown of the summer. Samsung and Apple are both expected to announce new phones in the next few weeks. If the leaks are any indication, the flagship devices should make this an especially enticing year for tech. 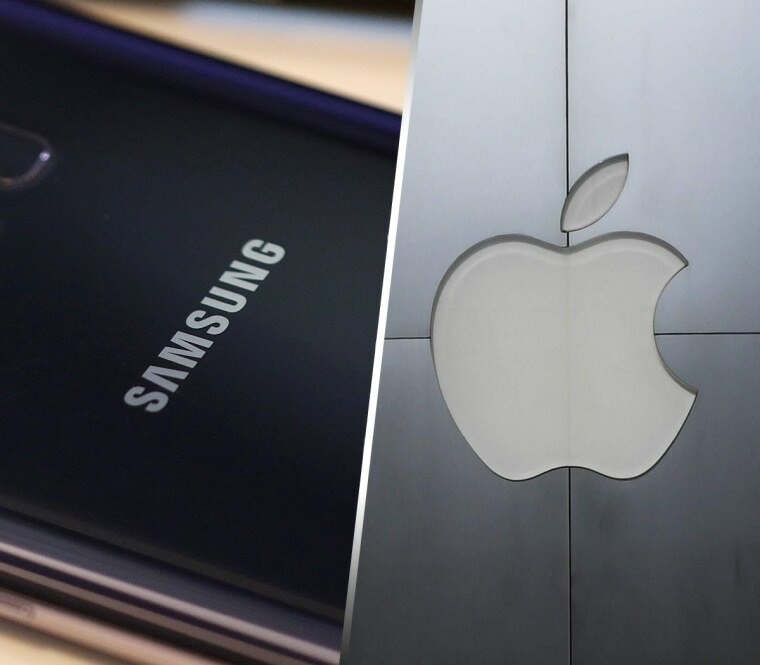 "This is going to be one of the biggest years of the battle [between Samsung and Apple] that we have ever seen," Patrick Moorhead, principal analyst at Moor Insights & Strategy, told NBC News. Apple has been following a September launch cycle, but this one will be particularly special, marking the 10th anniversary of the iPhone. Apple, of course isn't commenting. But revenue projections of $49 billion to $52 billion for the next quarter indicate Apple may have something big in store. As for Samsung, the company missed out on a showdown with Apple last year after the Note 7 caught fire — literally — ultimately prompting Samsung to pull the phones and cease production. But this year, all signs are pointing to the company being ready to wow, likely with a new Galaxy Note 8 at its Unpacked event in New York City on August 23. Mobile reporter Evan Blass, known for getting his hands on all of the good leaks, first tweeted photos of what is purported to be the smartphone. It has the same edge-to-edge Infinity Display as Samsung's Galaxy S8, giving it a sleek look while also maximizing the screen real estate. Like the S8, the finger print sensor is once again on the back, next to the phone's dual cameras. And of course, there's a stylus — one of the reasons why the Note series has such a loyal following, according to Moorhead. Samsung is building momentum after the release of the Galaxy S8 earlier this year and remains the No. 1 smartphone player in terms of market share, but Moorhead said this is finally the year we have a true "battle" between Samsung and what he's calling the "iPhone X." It's expected Apple's newest generation of iPhones will have edge-to-edge displays worthy of rivaling Samsung. Developers have been busy sifting through code — particularly in the recently released firmware for the Home Pod, Apple's smart speaker that goes on sale at the end of this year. In the code, developers they say they've found hints about what we can expect from the iPhone 8. Steve Troughton-Smith reported on Twitter that the new iPhone will have facial recognition technology. The finding was also confirmed by iOS developer Guilherme Rambo on Twitter. It's a feature that has already been implemented in Samsung's previous two releases, allowing you to unlock your phone with a glance. "Apple is typically not the first one with a specific feature. It's typically Samsung," Moorhead said. "But Apple prides itself on being the best implementation of something." While Apple may have made a rare misstep in releasing the clues in the Home Pod firmware, it's also worth noting that nothing has yet been confirmed by the company. For that, we're likely going to have to wait until September.